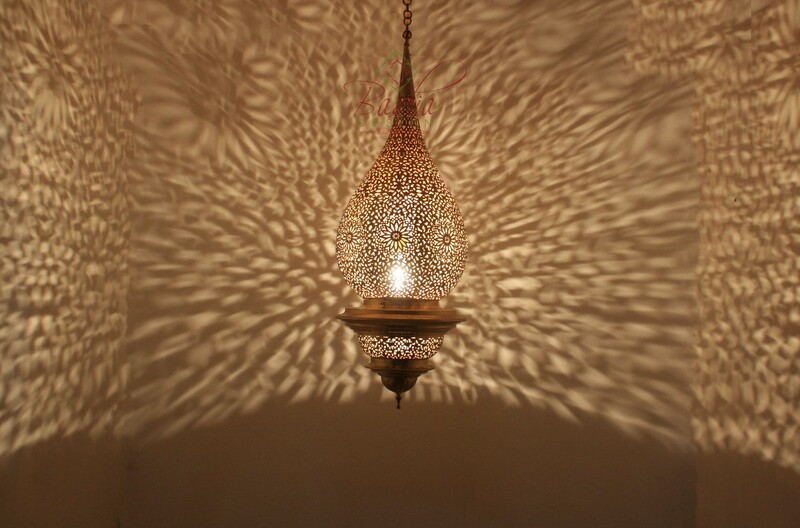 Tall Moroccan Hand Punched Brass Chandelier from Badia Design Inc.
Hand Punched Chandelier with Traditional Moroccan Geometric Patterns and Cutouts. Chandelier is best suited for a room with a high ceiling such as a hotel ballroom or your home with a high ceiling. Please note that wiring and bulbs are not included. Click the button below to add the Tall Hand Punched Brass Chandelier - CH240 to your wish list.